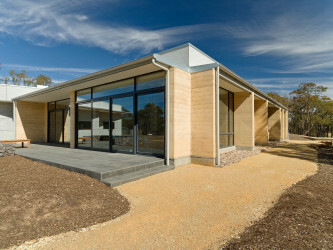 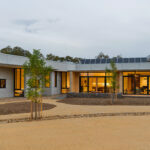 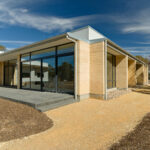 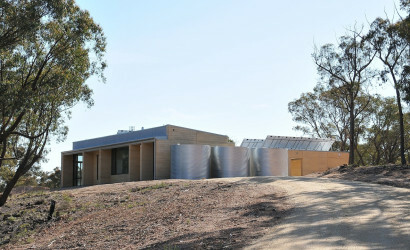 This house is located in a rural setting north west of Castlemaine in Central Victoria. 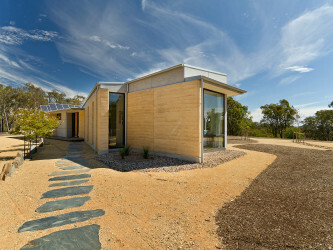 The land had been farmed for many years and consists of open grassland between stands of regrowth box eucalypt forest. 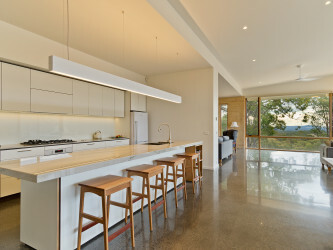 The house has been sited on a shoulder below the high point on the site with long views to Mt Tarrengower to the west and more intimate views to the north. 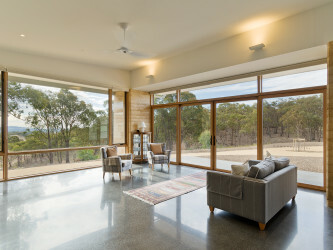 The house has been designed to open to the north outdoor spaces and to maximize winter solar gain as well as allowing the long views to the west. 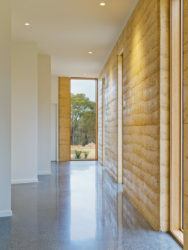 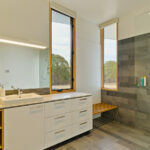 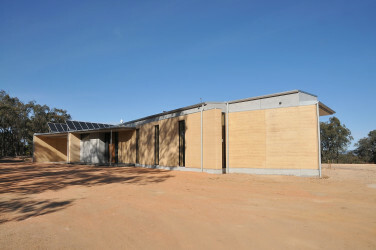 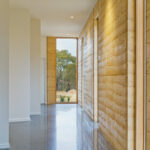 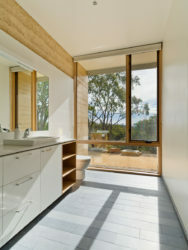 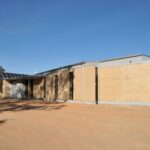 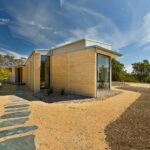 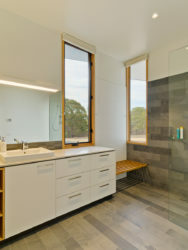 A variety of internal spatial experiences are created by the insulated rammed earth walls which both frame large openings as well as enclose more intimately scaled spaces. 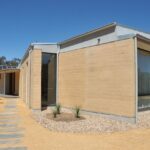 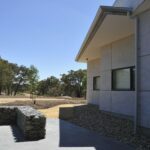 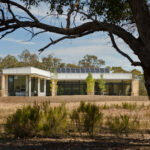 The house provides its own electricity and water with a 6KW off grid PV system and rain water collection for domestic and garden use. 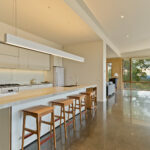 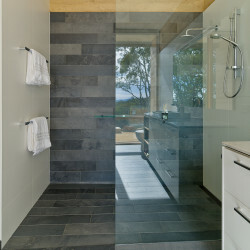 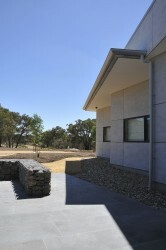 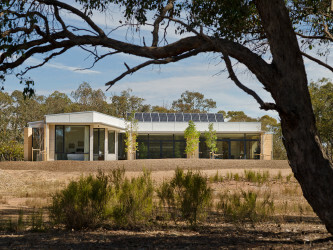 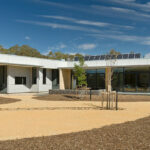 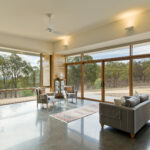 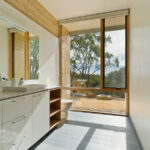 The house has been designed for bushfire attack level BAL 40. 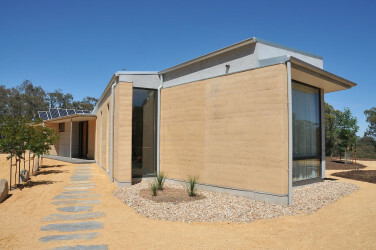 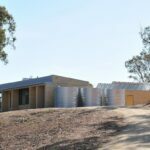 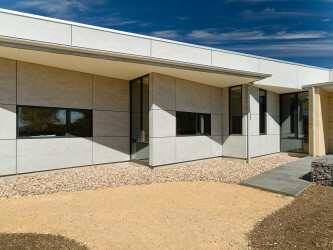 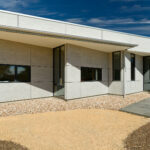 The external material pallet includes insulated rammed earth, raw compressed fiber cement sheet and galvanized steel.